Are you hungry? Want to "beet" those hunger cravings? Welcome! This week's Tasty Tuesday's interview features the amazingly talented health coach and natural chef (and my dear friend), Jennifer from Foodsoulutions. Based on the principles of S.O.U.L., which stands for Seasonal, Organic, Unrefined, and Local, FoodSoulutions shares incredible whole food recipes bringing nutrition to the kitchen in a way that is Holistic, Happy, Healthy, and Fun! Also trained in Dance, Yoga, Martial Arts, Jennifer, founder of FoodSoulutions, is an absolute dynamo and offers a beautifully unique approach to healthy relationships with food. Creating stunning mouth-watering whole food recipes, Jennifer is a huge advocate for the beautiful beet. She states, "The beet is one of our most powerful superfoods, super charged to support your energy as a potent blood cleanser and blood builder." Some of her delicious beet-themed recipes include Beet Pomegranate Winter Smoothie, Earthy Beet Sweet Potato and Red Lentil Thai Soup, and Beet Red Velvet Cupcakes. Yum! All of them are extraordinarily flavorful and nutritious! Looking to improve your health and happiness? Jennifer is your gal! As a certified health coach, she will work with you to discover tools needed for a lifetime of balance, wellness, and health. MEET JENNIFER: brilliant whole food creator, incredible yoga enthusiast, ardent health coach and wellness educator, creative personal and natural chef, passionate Somatic therapist, wonderfully dear friend, and beautiful soul! 1. First of all, your website name totally rocks! Tell us about yourself and FoodSoulutions. What inspired its concept (and/or name)? What is the focus at FoodSoulution? Why? Hi Aarika, Thank you for the compliment on the business name! I’d love to tell you a little about myself and what inspired me to start my Foodsoulutions business. First, I’ve always loved food but I haven’t always had a good relationship to food, my body and nourishing myself. I was lucky enough to grow up with a mom who cooked and ate organic, California-style healthy food, and I ate well as a child. I loved fresh fruits and veggies and wasn’t a fussy eater; my mother never had to struggle for me to eat my green beans or beets, for that matter. As a teenager, I felt I needed to change my body (lose weight) and I tried to do that by starving myself; I became very paranoid about what I ate. The nervous, chaotic emotional energy I had resulted in me under-eating and also over-eating as a way to try to both care for and punish myself. I think so many women go through a time like this in teenage years and early womanhood. We are coming into our women’s bodies, our emotional and sexual selves; it’s a lot to manage all that transformation. It can be very confusing and we can really get into a struggle/mess with ourselves that can last for years if we don’t learn how to take care of ourselves. Ok, I’m skipping ahead of myself! Foodsoulutions, that name! The play on words really is two-fold 1) I believe conscious eating is SOUL-FULL workplay in that it is a path that connects us directly to our own soul growth and soul calling because we have to listen to our bodies and what they are really saying to us, and the food choices come from there; 2) the simple principles of Eating for Health (E4H)(TM) that I learned when studying to be a Natural Chef at Bauman College in Berkeley CA use the acronym S.O.U.L. (Season, Organic, Unrefined, Local) to provide guidelines for people. So, for me this wordplay on SOUL and Solutions was the perfect fit! 2. You are a Natural Chef, Health Coach, and Somatic Therapist passionate about helping individuals, families, and organizations improve their health. Would you shed some light on these three aspects of your life and your journey with each? Yes indeed! Before landing on my work as a Natural Chef and Health Coach, I pursued a masters degree in Somatic Therapy/Counseling, that and a lot of other body-based trainings I immersed myself in was how I transformed my relationship to my body. The concept of “somatics” is actually very simple, it’s being conscious of one’s felt experience of the body. When we slow down and feel our body/breath we open up to a whole world within; I would even venture to say we connect directly with our soul/spirit/divinity. Somatic practices such as yoga, conscious dance, Authentic Movement, The 5-Rhythms, are all doorways into this deeper listening to ourselves, our bodies and discovery of who we are as alive, connected, embodied, energetic beings. The key moment of transformation for me in healing my relationship to my body (and of course, this is an on-going ever deepening dance) was this: I literally FELT myself and stopped objectifying myself in the same instant. This moment was so profound. I learned it was also repeatable. I could stay connected to the experience of my breath and my bodily aliveness, this was deeply delicious when compared to the contrast of constricted self-judgement based on how I looked to myself in a mirror! I was no longer an object to myself from the outside in; I was myself from the inside out. From there, a mentor recommended I get more training with food through Bauman’s Natural Chef program. At that point I liked eating and cooking healthy. I had already massively cleaned-up my diet simply because eating well supported my health and vitality, but I had never considered working with food professionally. Once I spent time in the kitchen with my hands on fresh, alive food for hours I was astonished at how much I loved it. It was just such a natural fit for me. Natural Chef, Natural fit I guess. Also, working directly with food deepens my appreciation for just how amazing and sacred food really is. That deepening respect for food translates directly into the respect for the body and that relationship. If it’s true the we are what we eat, or that our bodies are what our bodies absorb, then what we put into our bodies matters significantly and is precious. The Health Coaching is really a beautiful hand-holding between being a health/eating coach and a somatic therapist. I found that for me, I felt super comfortable when I was able to coach people in a very practical way using accountability and stacking principles to support people to take one or two steps at a time to grow towards the transformation they desire for themselves. 3. What can you share and/or expand on regarding your inspiring holistic, healthy, happy, and fun approach to nutrition and wellness? Hmm. Basically, holistic is that when I’m working with people I approach things holistically; that change that we seek is not just about the food, the yoga, the etc. it’s definitely not about the specific diet or exercise regime, (unless we are talking specific food allergy or physical symptom that needs specific form of movement). It's about listening to ourselves and following that thread of aliveness and supporting it to grow exponentially. That’s a soul thing, and a food thing, together. Healthy is really working towards creating solid foundations of health in the body, which includes habits of seasonal eating, wellness, and lifestyle practices that support health in the body. If someone is working in depth with me, this will be a focus; it will look different ways for each person, but essentially it will involve cleaning up the habits that cause us to leak our energy and deplete our health as well as working on improving digestion, because this is key for everyone! Being happy is important when building a relationship to healthy eating because it should bring us joy, rather than feel depressing or limiting. If it doesn’t bring someone joy, then it’s unlikely the person can evolve it into a healthy habit. Fun…working with food should be fun, so when I work with people often there is resistance to doing something new, eating something new, learning something new. Fun is being able to explore ant take the pressure off of ourselves. I find that holding a learning environment in the kitchen that is fun and not perfection-seeking is key, so what you don’t know how to cook x, y, or z, just put your hands on the food and see what happens. It’s essential to have fun when learning new healthy habits. 4. 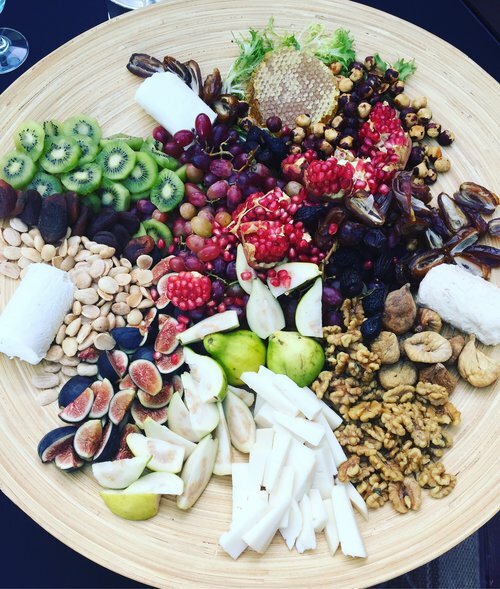 “Befriending your innate sense of wellness” is a beautiful message shared at FoodSoulutions. Do you have a few stellar tips for helping inspire healthy living and eating part of each (very busy) day? 5) food planning, people often resist this but I have found it to be key in developing healthy eating. 5. FoodSoulutions focuses on healthy living and wellness, and you make beets (root and greens) part of your awesome S.O.U.L. inspired diet. Why are you a fan of beetroots and/or beet greens and how do like to prepare them? To me, beet are edible gems on so many levels. First, they supply awesome blood cleansing properties that are so beneficial to our blood and liver health. This translates directly into our energy levels and feelings of aliveness. Second, they are so versatile in cooking! Most often I use beets raw in smoothies and cooked in broths, soups, and salads. Beet greens are super tasty and healthy for us too! Unless they are young and tender, I prefer them simply steamed or sautéed with a little high quality olive oil, ghee, or coconut oil, squeeze of lemon, and a pinch of sea salt. Even though I love cooking more complicated things, I’m really a simple eater at heart. Give it to me fresh and organic and I’m plain old happy with that. 6. What are 2-3 of your favorite beet-themed recipes? Why? Love this question because I LOVE BEET RECIPES and LOVE all the goodness you put into the recipes on this website! My favorite is probably my Beet Pomegranate Smoothie, followed by the Earthy Red Lentil Thai Beet Soup, and then a Beet-Red Velvet Cupcake with Pink Cream Cheese Frosting. 7. You have taught and co-taught many healthy eating and wellness classes, several classes including working with children and teenagers. We would love to learn more about those experiences! What types of classes and projects have you taught and/or facilitated in the past? Are there current projects you are involved with now? What’s on the horizon for FoodSoulutions?! Thank you Aarika, yes, I absolutely LOVE working with children and families because children love to have fun in the kitchen with food and often are the ones that can draw that curiosity and excitement out of their parents. I think children working with their parents in the kitchen is key for developing healthy family patterns around food and family wellness goals. Working with food is artistic and I find that aspect to be exciting a accessible for teens because they can create something of their own with it. Right now I do not have any upcoming community classes scheduled, but I can be scheduled for private cooking classes or booked for larger audiences. Recently I have been doing mid-size dinner parties that showcase seasonal menus as well as cooking on-goingly for private clients who don’t love to cook and want me to take that off their hands. I’m really here to serve the community with my gift and passion for this so that means that I don’t know exactly what it looks like that constantly evolves based on what I’m inspired to create and what people want from me. So please, if you are reading this, and want to hire me, by all means reach out and connect! Let me know how I can be of service to you in these arenas. You are a bright light in this world, Jennifer. I adore your willingness to be candid and authentic, sharing your journey with your relationship with food. You continually inspire me, and I am humbled by your passion for helping others through Somatic Counseling/Therapy and wellness educating. You are amazing! In this interview, you state, "Feeling alive and connected in my body has been the red thread I've followed through every chapter of my life - I don't think that will ever change about me." Those words are powerful because when we truly feel "alive" and connected with ourselves, we evoke unlimited potential. YOU are changing the world with your beingness. Thank you for enriching our lives with your beautiful soul! Inspired by Jennifer? 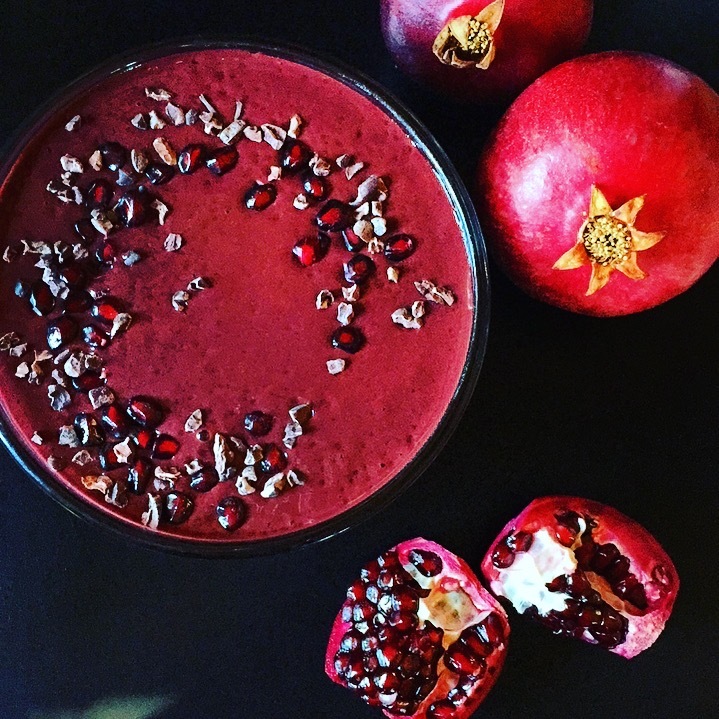 Stop by FoodSoulutions' fabulous BEETILICIOUS DECEMBER post for stellar beet nutrition details and THREE delicious beet recipes! All photos provided by Jennifer from Foodsoulutions.